Around the holidays, those of us in the south can’t resist having a pecan pie on the table along with, of course, the traditional Pumpkin. 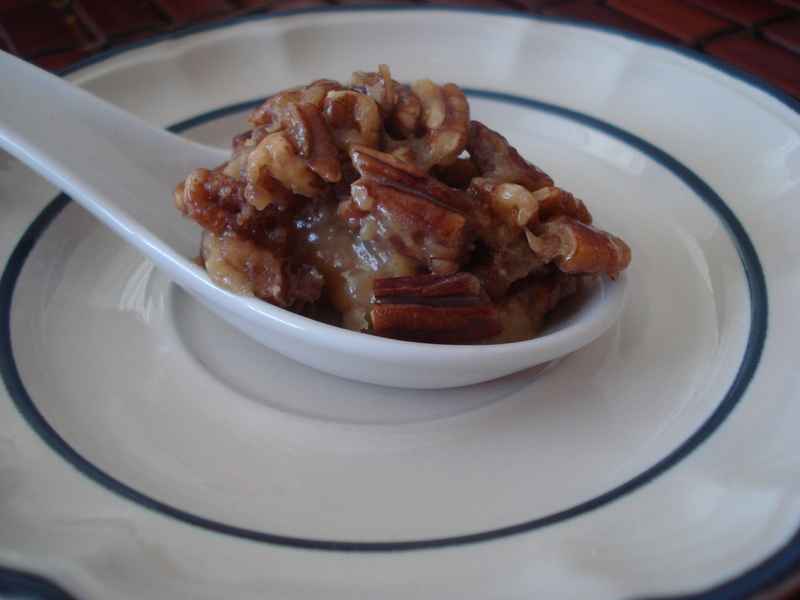 Pecan pie, although a holiday tradition to most families nowadays, is a rather new addition to the pastry world. The oldest formula for pecan pie dates back about 70 years, and is most likely a result of the Karo Corn Syrup companies marketing strategy. Too bad Goerge Washington and Thomas Jefferson never realized they had another use for all of those pecans grown on their Virginia estates. 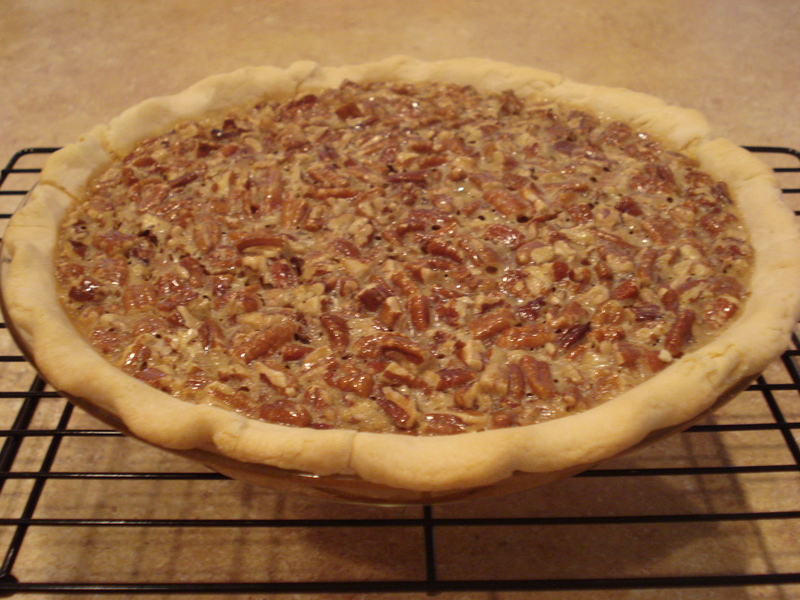 Traditionally, pecan pie should be presented to the table with a perfectly golden crust and rich, buttery center. Sadly, many people are forced to choose the storebought variety when strapped for time, which is often dry, burned, and overly chewy to the point of resembling a nutty taffy. So let’s begin constructing the pie of your families dreams, just in time for Christmas. The first crucial step you must make is to select the proper formula for your pie crust. Most people will select flaky believing it will lend them the rich, flaky crust they love but you will end up with a soggy mess. This is because in a flaky pie dough formula, there is more butter added to create the desired flaky finished product. But flaky pie doughs do not belong on the bottom crust of a pie, only the top. For the bottom, you must select a mealy pie dough. In a mealy pie dough formula, less butter is added so that when the pie bakes, the juices excreted from the filling will be absorbed into the crust. This creates a more flavorful crust and also maintaining its structure. Mealy pie doughs have the ability to absorb extra moisture so they prevent the dreaded soggy bottom crust. Once you have selected a mealy pie dough formula, lets swap out the granulated sugar in exchange for brown sugar and use all butter instead of shortening and butter. 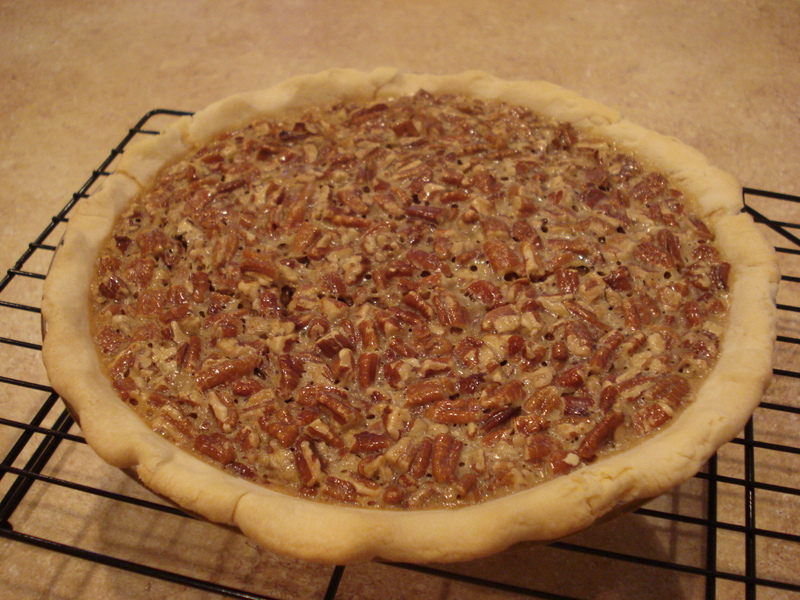 This will lend the praline flavor to the crust. To ensure a proper filling, begin by cooking it on the stovetop before pouring it into the crust. To prevent a gritty texture or non-cohesive filling, corn syrup is used rather than cream. The addition of eggs create added flavor and a binding agent, ensuring the filling will set up properly in the oven. For proper richness, a non-healthy dose of butter is melted in. Last but certainly not least, a bit of bourbon rounds out the nutty, praline flavors and is a much desired addition after dealing with a long month of holiday stress. I poured in about two tablespoons full but if you really want to taste the bourbon, as much as four tablespoons may be added without altering the filling’s texture. *Note: The pecans called for in this formula must be chopped but be sure you do not include any of the dust or else it will cloud the filling. The pie should be removed from the oven when the center is set but still a bit jiggly. The residual heat will continue to cook the filling, allowing it to set up firm but not be dried out. Adjust oven rack to the middle position and preheat oven to 275°. If pie shell is not warm, place in oven to slightly re-heat while preparing filling. Cook butter, brown sugar, and salt in a saucepan over medium heat until sugar dissolves and butter is melted. Remove pan from heat and whisk in the eggs, one at a time. Add corn syrup, vanilla and bourbon. Return pan to heat, and stir until mixture is glossy and warm. Do not overheat. Remove pan immediately from heat if the mixture begins to bubble or steam. Temperature should register 130°. 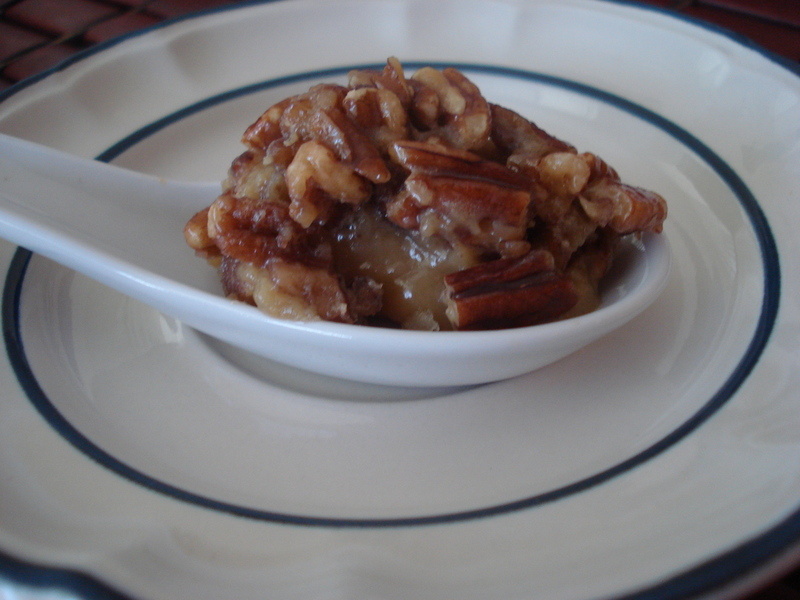 Remove pan from heat and gently stir in pecans. Pour mixture into the warm pie shell. Bake until the center feels like gelatin when pressed, 45 to 60 minutes. Cool pie completely. Pie is best served at room temperature but can be warmed briefly. Top with bourbon whipped cream or vanilla ice cream.